West Linn Adult Community Center volunteer Keli Stevens shares information about two intergenerational events seniors can participate in. This month the West Linn Adult Community Center (WLACC) celebrates the intricate tapestry of generations by presenting two events that beautifully showcase the threads and rich patterns that connect us. Every generation strives to carve out their own unique identity, while simultaneously bearing the fingerprints from those who came before them; fingerprints left by the familial hands that molded and shaped our existence, whether by simple DNA or common experiences, by the passage of time and lessons learned, by love, talents or legacy. 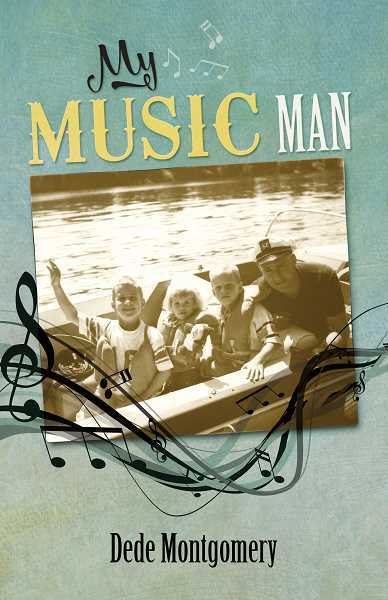 The center will proudly present local author Dede Montgomery for a signing of her powerful book, "My Music Man," at 1 p.m. Jan. 22. 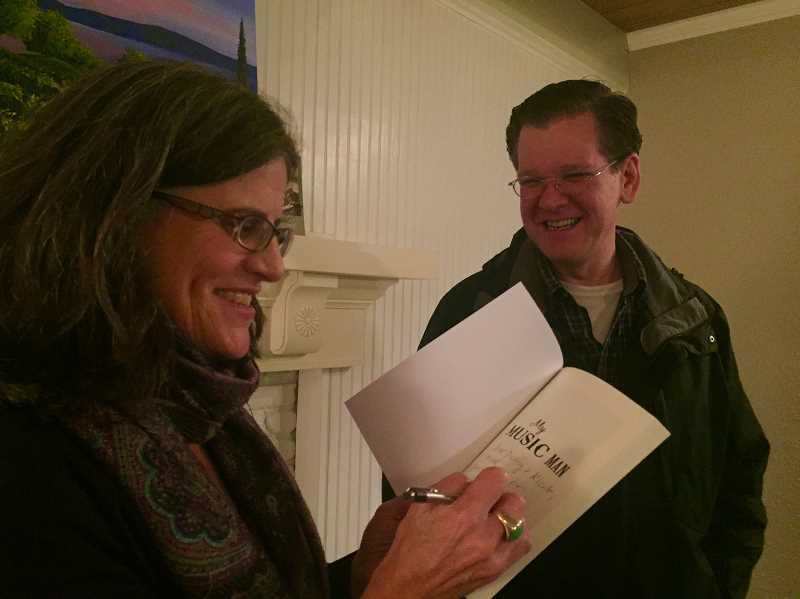 Written as a tribute to her father, Montgomery tells stories spanning seven generations of people who lived along the banks of the Willamette River. At the heart of the book is her relationship with her father, a flawed but human character who struggled with alcoholism but finally was able to turn away from it. Carefully researched, the book boasts an interesting cast of figures who held special historical significance in their times. Dede tells stories from her own childhood, drawing on past experiences with a candor that evokes deep thought and often open laughter. Throughout the stories, throughout the generations, winds the Willamette River and a shared love for this amazing land. Montgomery works full-time at OHSU in outreach and education related to workplace health, safety and well-being. A long-time resident of West Linn, she and her husband, Mayor Russ Axelrod, have grown daughters who went through West Linn schools. They are active members of our community. After going to college and graduate school and working for a few years in Seattle, she was thrilled to move back to her beloved Willamette River roots. "My heart belongs to the Willamette River," she says "I spend as much time as I can walking and cycling near it, and more recently kayaking, although I love getting out into Oregon and beyond as well." Montgomery has just signed a contract for a novel, also with the same publisher, Bedazzled Ink Publishing. The center has a bus trip to the Portland Art Museum planned for Wednesday, Jan. 24. Enjoy the paintings of one of the most illustrious artistic families in the exhibition "The Wyeths: Three Generations." The exhibit showcases the brilliant illustrations of N.C. Wyeth (1883-1945), his son Andrew Wyeth (1917-2009) — one of the most important realists of his era — and Andrew's son Jaime Wyeth (born 1946), a popular modern portraitist. Guests are able to compare the artwork side-by-side and look for commonalities that link the generations together. Each artist has their own separate and unique style but perhaps a shared history can be read within their brush strokes. Works by Andrew's sister, Henriette Wyeth (1907-1997) and brother-in-law Peter Hurd (1904-1984) are also on display. The trip cost is $25, which includes museum admission. Lunch will be at Zell's Café, and is not included in the trip cost. We will leave the WLACC at 9:30 a.m. and return before 2:30 p.m. Sign up and pay at the WLACC front desk if you are interested in joining us. Contact the WLACC at 503-557-4704, or stop by at 1180 Rosemont Road, West Linn 97068. The lunch menu this week features lasagna, garlic bread, corn and cheesecake cups on Friday, Jan. 19; sloppy Joes, roasted potatoes, carrots and banana pudding, Monday, Jan. 22 and sausage and white bean soup, chicken salad sandwiches and chocolate cupcakes on Wednesday, Jan. 24. Cost is $5 per person. Keli Stevens is a volunteer with the West Linn Adult Community Center.